Here I bring you Badal Burger, located conveniently by Mercat Olivar and serving up what I want to say is the closest thing to what a Hamburger should taste like. They of course have a menu with already curated burgers with strange combinations like BBQ Sauce and Feta, bringing your love for Texas and Greece together! But, just below that you can make your own burger and add the toppings you want and a side of your choice. Genius! Someone in Mallorca has read my mind and really giving the ultimate option. So off I went creating two different classics, one with Cheddar and the other with Gruyère, one with the slightly larger patty and also one with no bun. But here are my only tips: Order your burger Medium, this came out more on the medium rare/rare side. They need to work on this and get the temperatures correct. Order the sweet potato fries, they are perfectly crispy and piping hot! I ordered mine with the "Bone Sucking Sauce" on the side, which comes standard on your burger. I am not a fan of BBQ sauce on my burger and wish it just came with ketchup, even better if they used Ketchup de Forqueta made here on the island. The bun was just a touch on the sweet side, which is typical for buns in Spanish. I hope in the future they create their own buns with sesame seeds and this will really elevate the taste! HUGE bonus points, they carry my favorite beer. 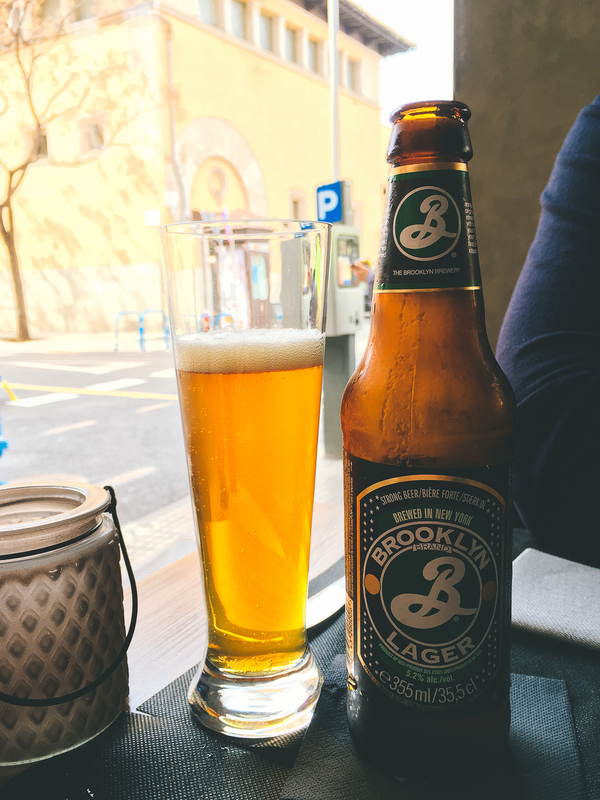 Brooklyn Lager! Thanks for making me feel at home Badal Burger and see you soon. Plaza de Comtat de Rossello, Palma de Mallorca.